Hall for Rent (see "Rental Info" page). Gazebo - a beautiful place for a wedding with a fountain in the background. Fantastic Playground for the kids. 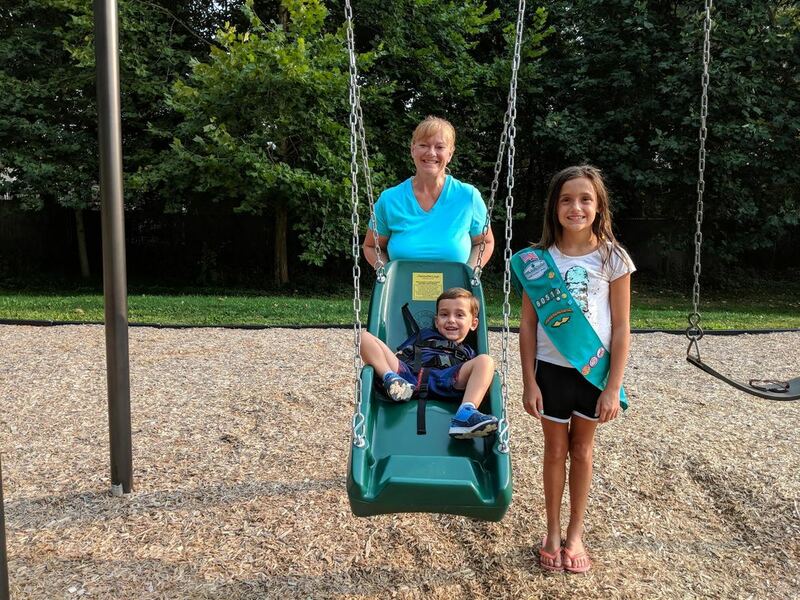 Uniontown Girl Scout Troop # 60513, under the direction of Mary Leonelli, donated money to the Uniontown Park for the purchase of a swing for children with handicaps. The Girl Scout Troop consisted of 14 - 5th grade girls who raised the money by selling Girl Scout Cookies. The Park Board and the community appreciate this significant contribution. We thank the girls and their leader. The Uniontown Community Park is the home for the All Veteran's Memorial. The floor of the memorial garden is composed of bricks with the names of veterans engraved on them. A ceremony is held every Memorial Day to honor all veterans. Uniontown Park is the place to go to have FUN. Whether you rent the hall for a party, the open shelter for a picnic, or come for the many outdoor activities, you may be assured that you will find your surroundings enjoyable. FOR RENTAL INFORMATION: GO TO "Rates & Availability Page". Communicate with us on the "Contact Page"